Gaza is currently experiencing a severe public health crisis. Years of Hamas neglect, destructive warfare, and the electricity crisis prevent the Strip’s waste management infrastructure from operating properly. As a result, sewage flows in the streets and into the Mediterranean, inviting the spread of potentially lethal diseases and pandemics. This problem is not just limited to Gaza. Waste and disease can spread across borders to Egypt and Israel. Indeed, sewage flow from Gaza already resulted in the closure of Israeli beaches at Zikim and Ashkelon National Park, and frequently forces the temporary shutdown of the desalination plant at Ashkelon. Addressing the impending humanitarian crises facing Gaza is critical. 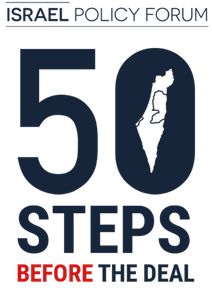 What was once considered a “white elephant” of Mideast international development is now offering a roadmap to a safer existence for Palestinians and Israelis alike. Sewage treatment might not sound like a path to peace, but despite on-going border security and Jerusalem status issues, access to safe water and sanitation has become a shared interest for all parties. With no modern sewage treatment plant in Gaza, seawater and sewage from two million people have been seeping into groundwater, their drinking water. A report issued by the United Nations in 2012 predicted Gaza would be unlivable by 2020, just two years from now. In July 2017, a five-year-old boy died in the Gaza Strip after swimming in seawater polluted with sewage. Dozens of others have reportedly been treated after swimming in Gaza’s seawater over the summer months of July and August. 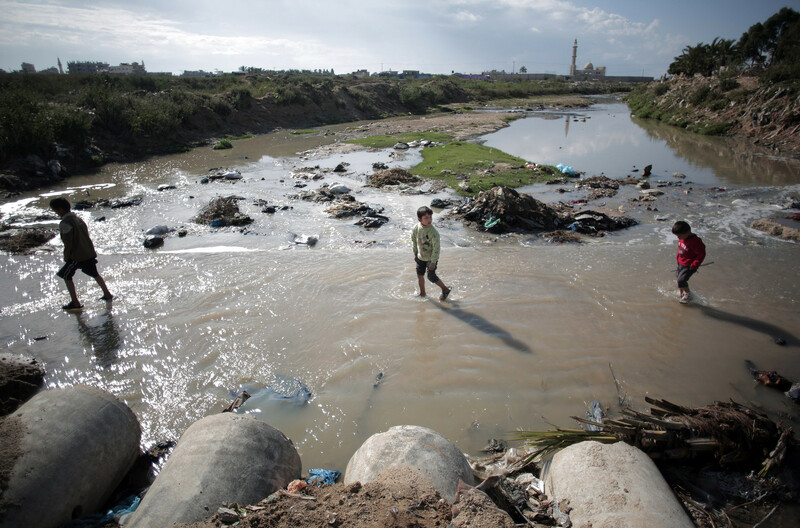 Receiving international media coverage, this story has put the spotlight on a problem long in the making: Gaza’s chronic water and sanitation problems pose immediate serious risks to public health. Gaza’s water issue is twofold: a shortage of potable water combined with a lack of wastewater sanitation. The first part of this problem is the lack of access to plentiful safe water for drinking, cooking, and bathing, which puts Gaza’s population in peril. 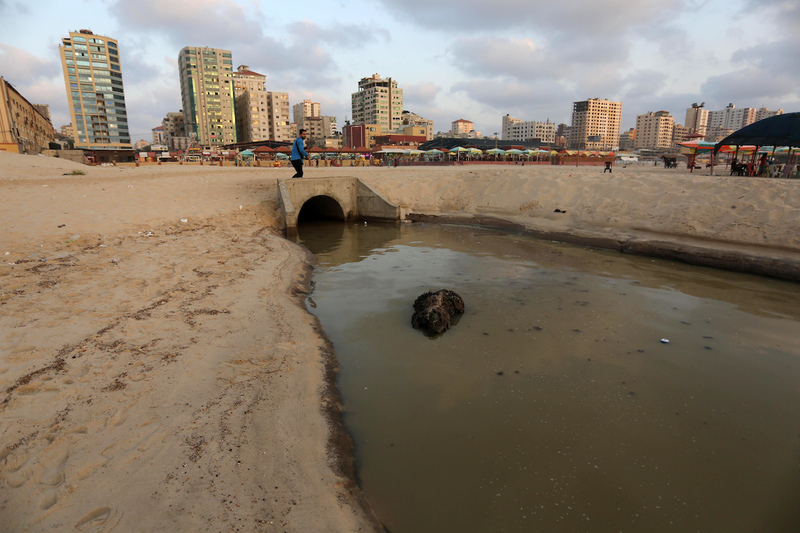 In addition, over 108,000 cubic meters of untreated sewage flow daily from Gaza into the Mediterranean Sea, creating extreme health security risks in Gaza as well neighboring Israel and Egypt. While these problems are not new, rapidly deteriorating infrastructure, strict limitations on the import of construction materials and water pumps, and a diminished, declining, and unreliable energy supply have in recent years expedited the water crisis and exacerbated the water-related health risks.